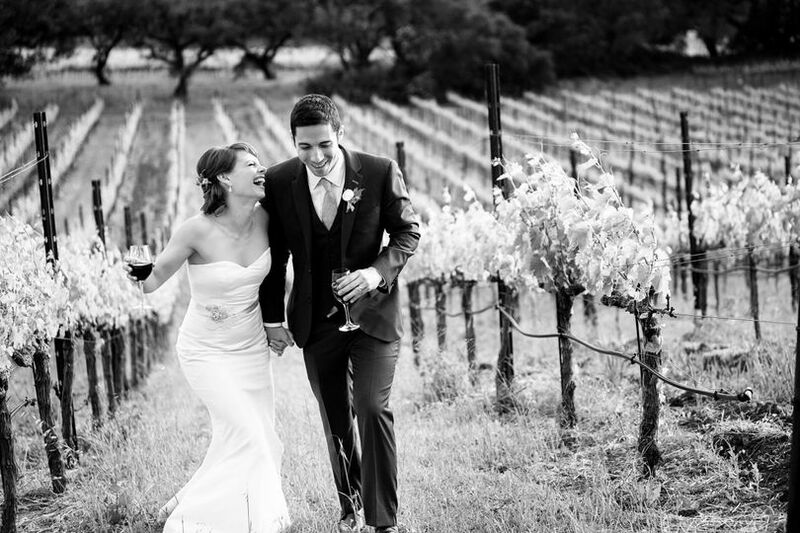 Mariah Smith Photography is a full service boutique studio serving the North Bay Wine Country. 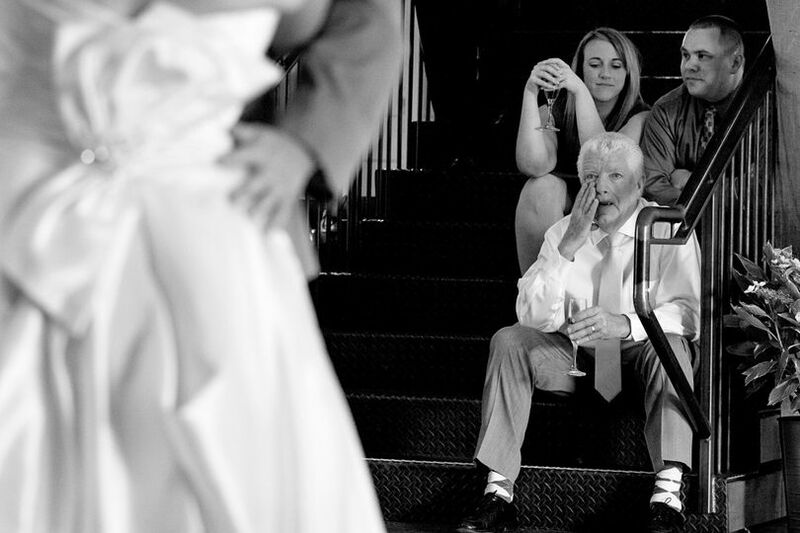 MSP specializes in creating candid & artistic images that will allow you to relive your wedding for years to come. 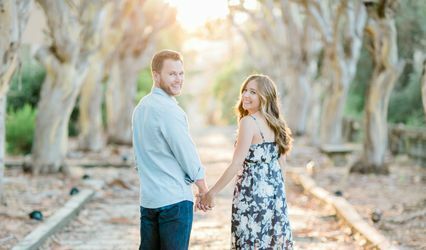 The owner and lead photographer, Mariah Smith, had her first darkroom over 20 years ago and brings her many years of experience to every wedding she photographs. Her "fly on the wall" style allows your day to be about YOU. She very rarely interrupts and prefers to capture your day as it unfolds. But, is also very skilled at politely directing, when needed. 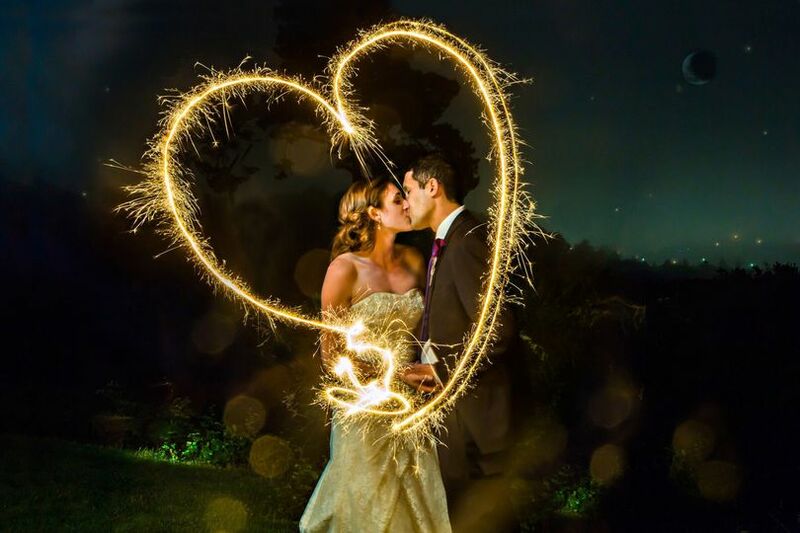 MSP loves weddings and would love to be part of yours! Hiring Mariah for our wedding pictures was one of the best decisions we made for our wedding. My husband and I both agreed that having good wedding pictures was one of our top priorities for our wedding. When we spoke to Mariah the first time I immediately felt at ease, she was so warm and open and had a very systematic way of making the whole process easier. On top of how immediately comfortable she made me feel, we picked Mariah because in looking through her photos we saw that she captures emotion and the most beautiful lighting you will ever see! And boy does she deliver! Mariah was so lovely to work with through our wedding. My husband is not terribly fond of taking pictures but absolutely loved our mini engagement shoot. So many of my friends and family commented on how easy it was to take photos with her and how fast and painless it felt. AND THEN there are the photos…they were beyond my imagination. They are the most wonderful, beautiful documentation of our wedding. I have never felt more beautiful looking at pictures of myself. 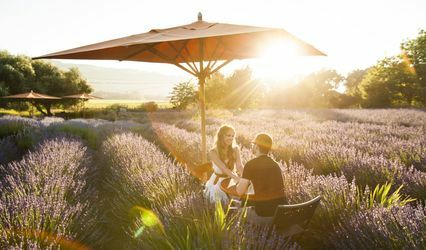 She captured such beautiful moments and emotions and of course amazing lighting in the vineyards. I was also thrilled to see she captured details of our décor that I spent hours planning. Everyone who looks at our wedding photos has to comment on how stunning they are and what a phenomenal job Mariah did. I want to live in these photos. 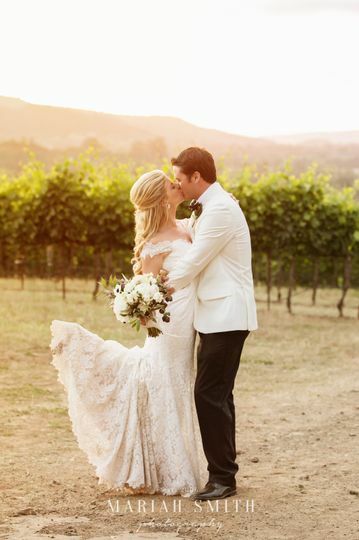 We are so glad we chose Mariah to photograph our wedding. One of the great things about Mariah is that she is really good at making you feel at ease having your picture taken. While taking posed photos she provided subtle direction that was very much appreciated, but at the same time she is also skilled at capturing candid moments in their best light. 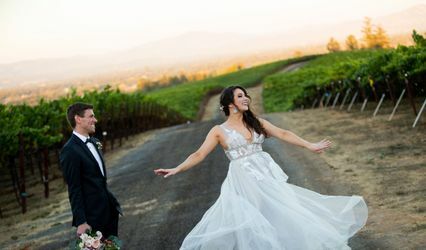 She will take note of any special requests, and when we asked to incorporate few shots with a vineyard she and her assistants went out of their way to capture the most beautiful vineyard sunset photos for our first look. Another thing is she is SO fast! If you provide her with a list of your family shots she will get them done in a snap so that your guests are free to enjoy themselves at the reception in no time. Our pictures are stunning, and we are so happy we chose Mariah to provide us with so many lovely photos to remember our wedding day. Hiring Mariah to photograph our wedding was one of the best decisions we made. In addition to taking amazing photos, Mariah separated herself with her never-ending energy and enthusiasm. At the engagement shoot, we were both made to feel like models! She was great at both giving us tips and suggested poses to get great shots in the environment, but also at capturing our improvised and intimate moments. She also saved the day when we were "fogged out" at Bodega Bay by finding shooting locations around Sonoma County that ended up looking better than we could have imagined. At the wedding itself, Mariah and her team were simply wonderful. They were everywhere, yet never felt in the way. She got all the shots we wanted and some we didn't anticipate. She was also great at handling our family members (not an easy task) and also working with our videographer to make sure both the photos and the video turned out great. A consummate professional and a fine artist as well. Beautiful work - be sure to check out her pictures.